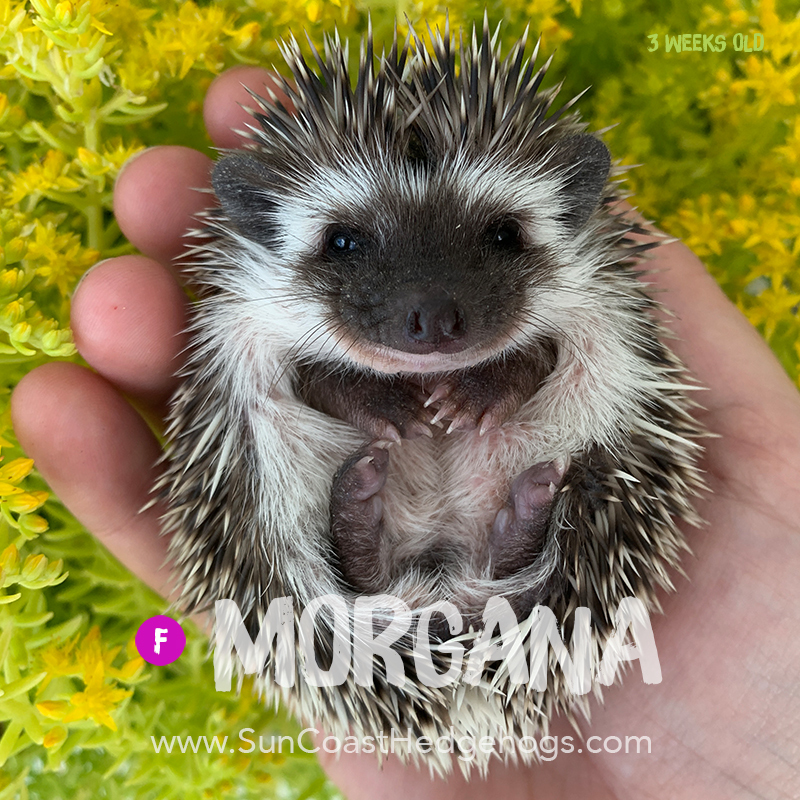 Watch out for this little sweetie - she'll put a spell on your heart! 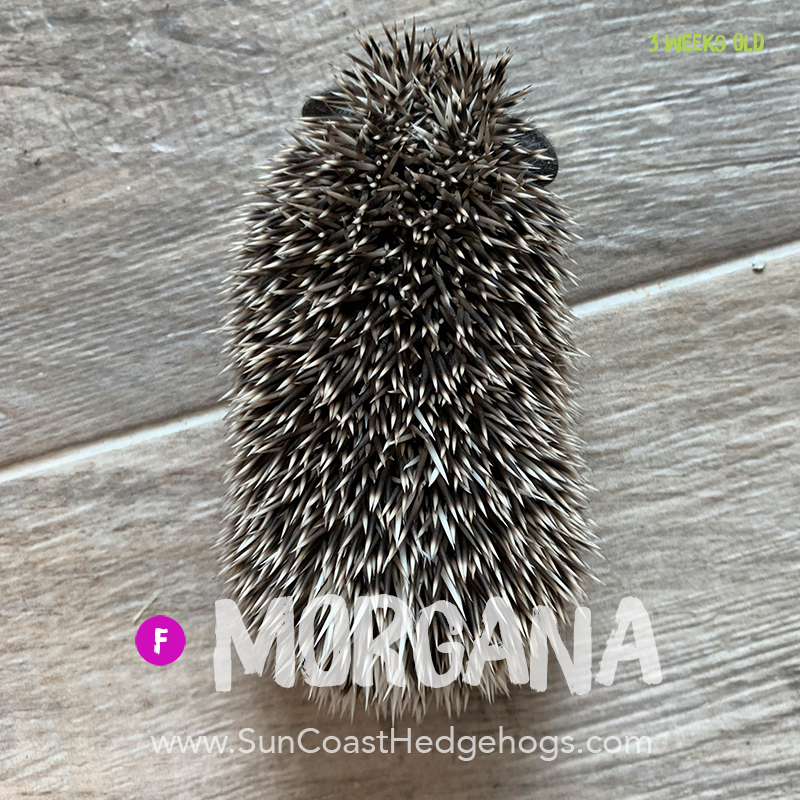 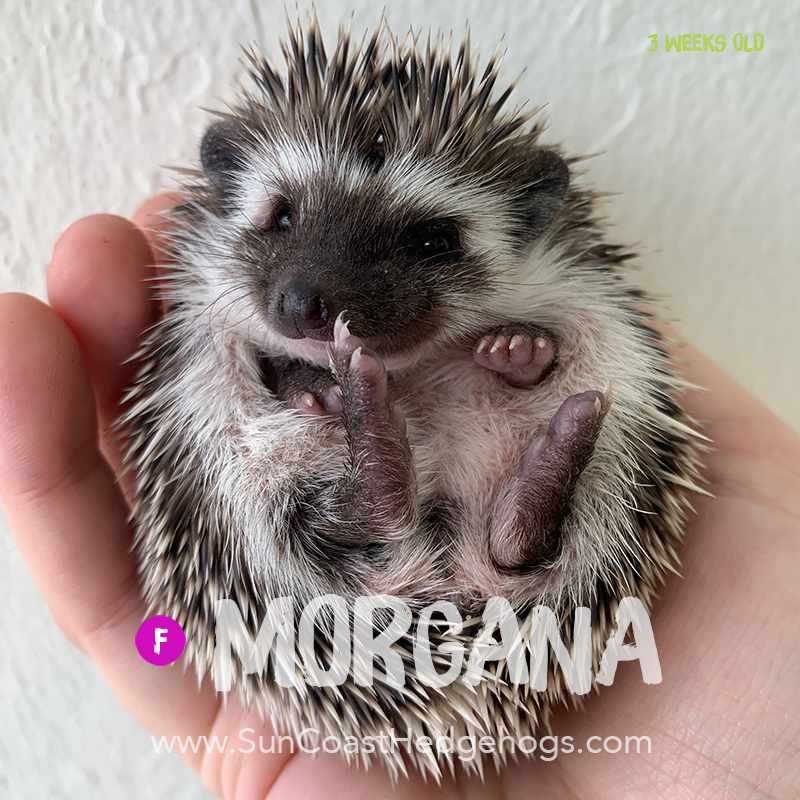 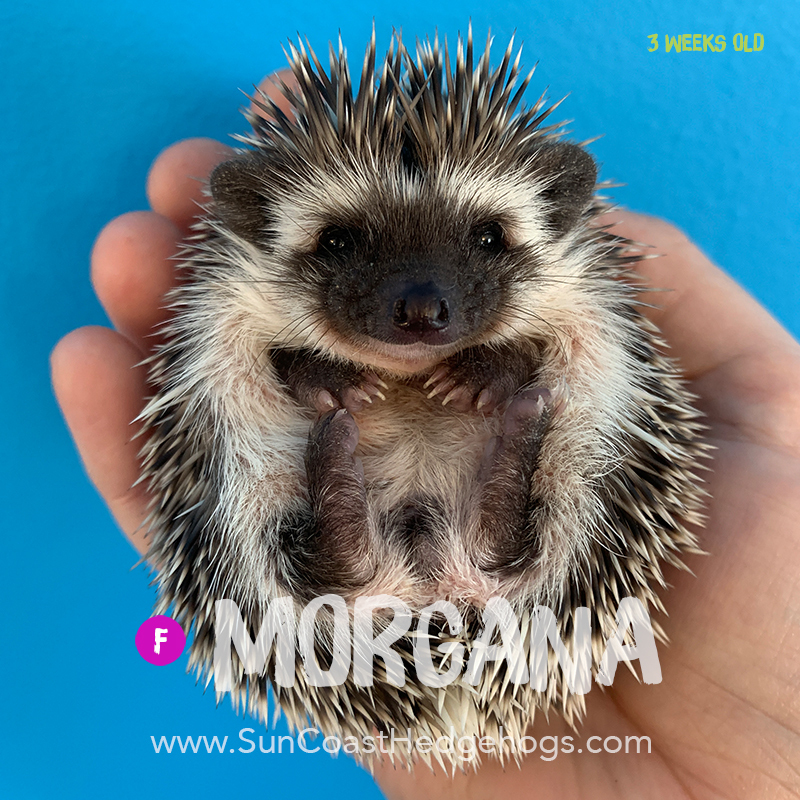 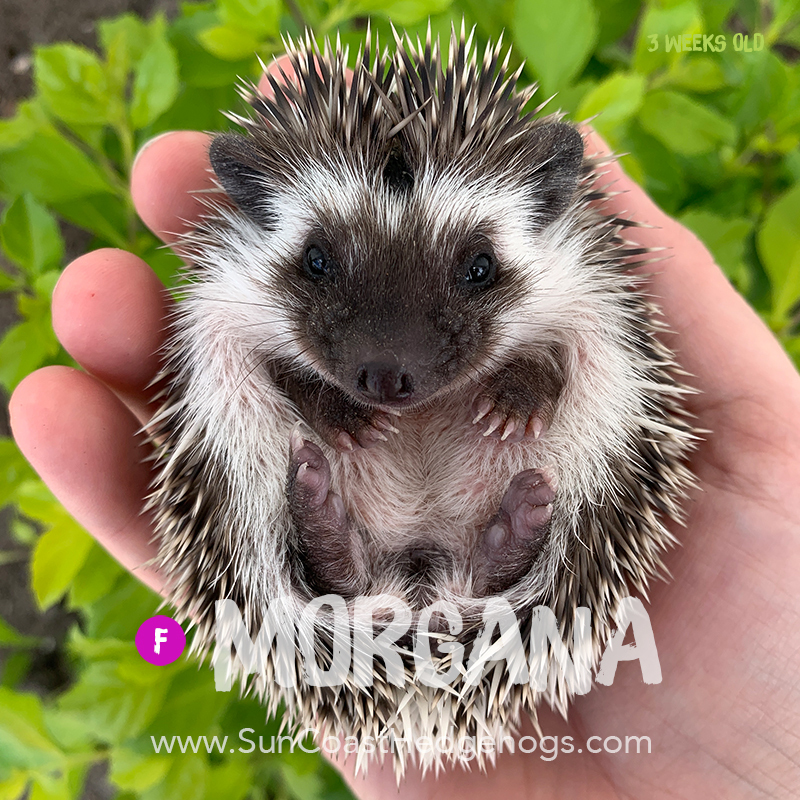 Morgana is a dark grey hedgie with badger stripes, who may snowflake as she gets older. 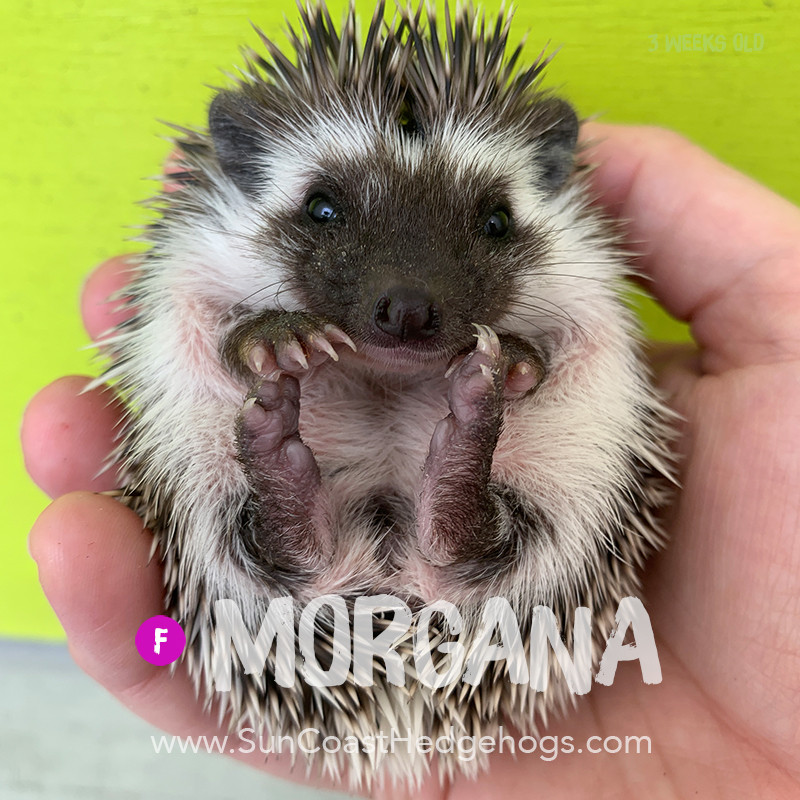 Morgana was Sold to Elaine R.